This book, the last to be completed by the author, is a study of a recurring phenomenon in the history of changing taste in the visual arts, namely the feeling that older and less sophisticated (i.e. 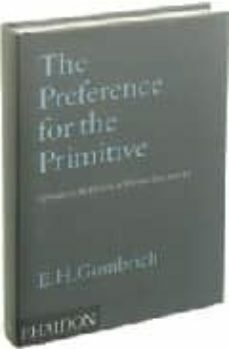 ‘primitive’) works are somehow morally and aesthetically superior to later works that have become soft and decadent. In his first narrative work for over twenty years, Gombrich traces this idea back to classical antiquity and links it both with Cicero’s observation that over-indulgence of the senses leads to a feeling of disgust, and with the profoundly influential metaphor comparing the development of art to that of a living organism. Like an organism, art grows to maturity, then decays and dies, and successive generations of artists and critics have preferred the strength, nobility and sincerity of earlier styles to the more refined later styles with their corrupting and meretricious appeal to the senses. Summing up more than forty years of study and reflection on this theme, the book presents a closely argued narrative supported by extensive quotations that document with precision the role of authors, critics and artists in shaping and changing opinion. After reviewing the classical authors whose writings largely set the terms of the debate, Gombrich then charts its progress from its revival in the eighteenth century, documenting the often subtle shifts of taste and judgement that frequently focus on the pivotal role of Raphael in the history of taste. In the final chapters he turns to the truly revolutionary primitivism of the twentieth century, analysing the momentous shifts of taste of which he was himself an eyewitness. Important both as a personal testament and as a documentary anthology, this long-awaited book fittingly provides a deep and revealing insight into the history and psychology of taste.